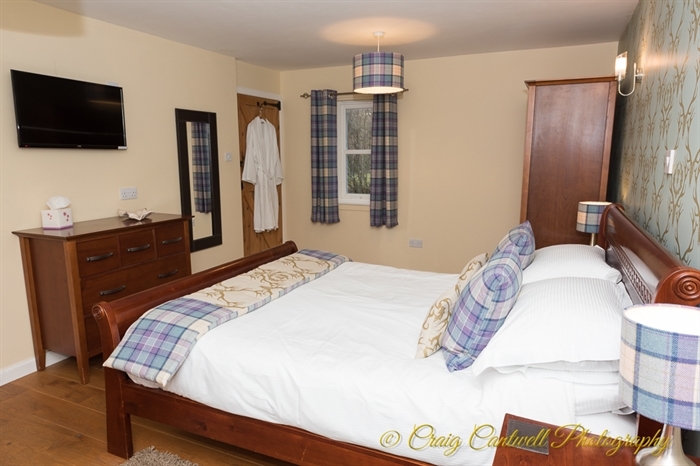 'The Groose Hoose' (formerly New Steading Cottage) is very well equipped and offers a stylish, comfortable self-catering experience. As you step inside the open plan living area you will be struck by the light and spacious accommodation. 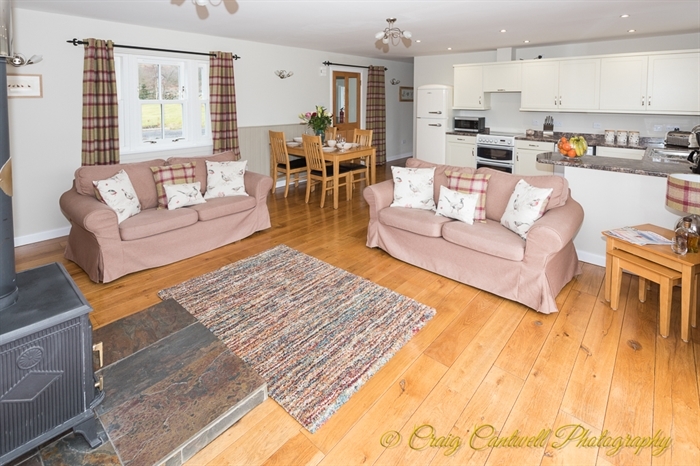 Within the living room area you can relax on comfy sofas in front of a large wood burning stove and look out on some of the finest scenery and wildlife in Glenshee and Highland Perthshire. 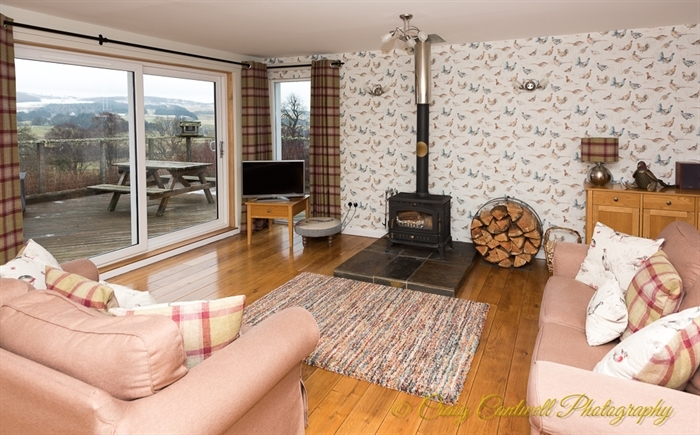 The Groose Hoose at Dalnoid has spectacular views across Glenshee to Mount Blair, with large glass patio doors opening from the spacious living space onto a large raised deck area and steps down to the Hot Tub and lawned garden, for you to enjoy the outdoors. 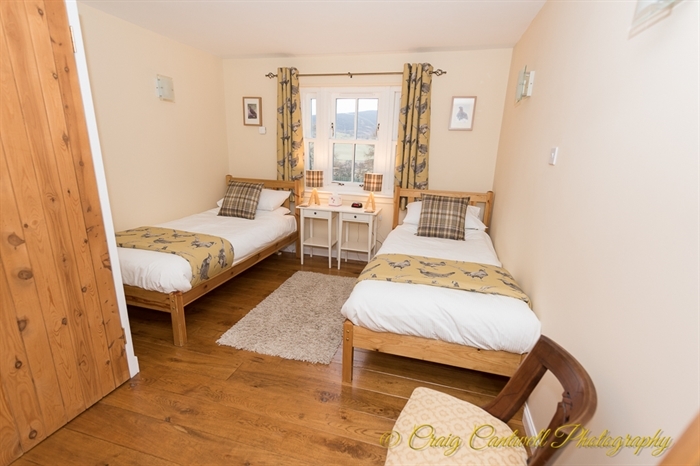 The holiday cottage, which sleeps four, has a spacious king size room with large en-suite shower-room, as well as a twin bedded room and a main bathroom with bath and shower. 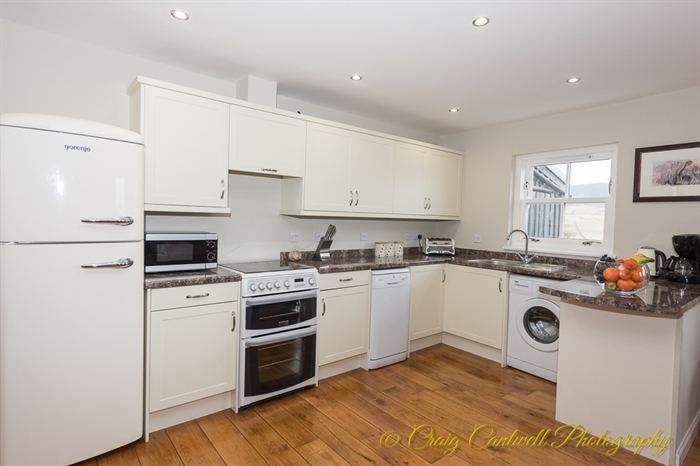 The large open plan kitchen and dining area has all ‘mod-cons’ including a dishwasher, washing machine, gas cooker, microwave, coffee machine and many other items. It is very well equipped so if you want to stay in and ‘self-cater’ you will find everything you need. 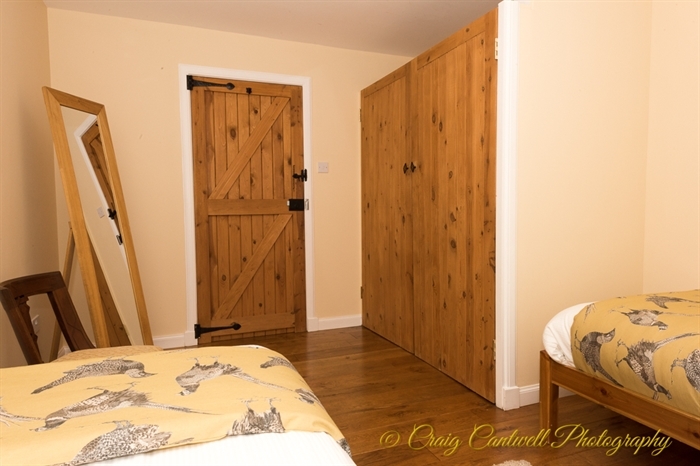 The cottage has oak flooring throughout. 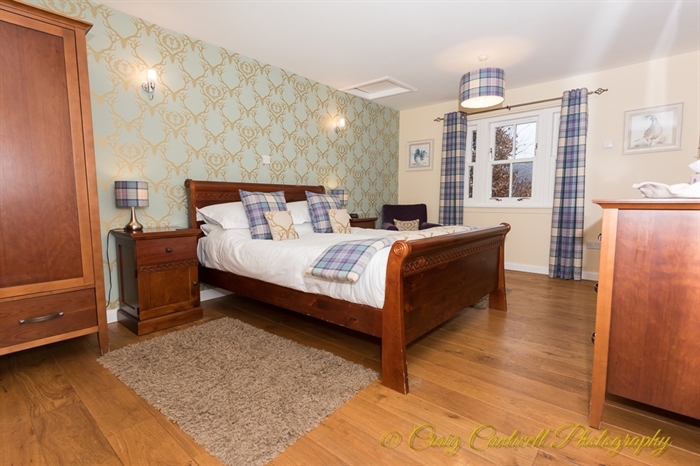 The Groose Hoose, uses geo-thermal heating and ground source heat pumps which will provide constant underfloor heating and hot water during your stay. Heating is supplemented by the log burning stove for which free logs and kindling are provided within the cost of your self-catering holiday. The cottage is laid out on one level, with no internal steps, and is suitable for the less mobile. There are grab rails in the main family bathroom above the bath and beside the toilet. 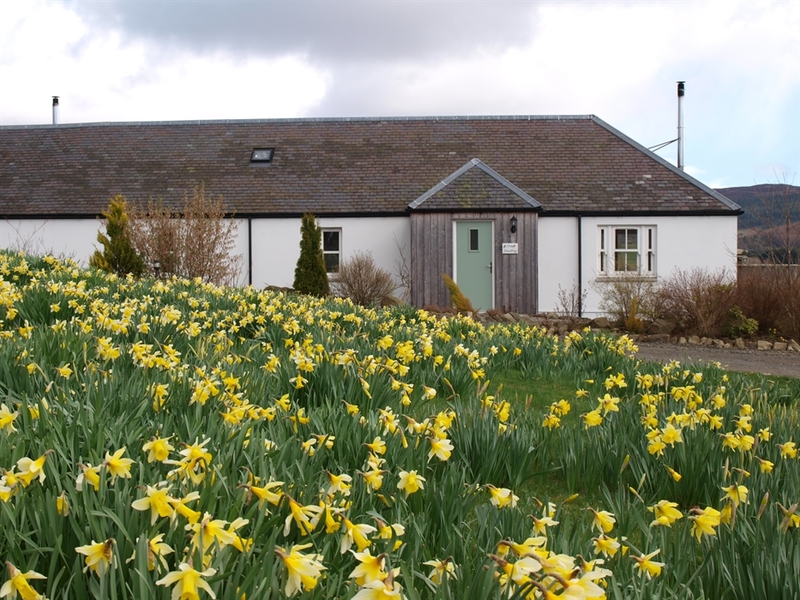 Pets are welcome by prior agreement at Dalnoid Holiday Cottages.